Yes, the conference WAS a sellout! BlogPaws 2013, back at the beautifully remodeled Sheraton Premiere in Tysons Corner, VA (suggestions are welcome; hurricanes and earthquakes … NOT!). Host hotel is sold out! 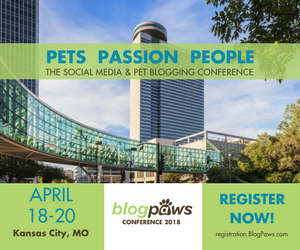 This hotel has a $125 pet fee that is being waived for BlogPaws attendees! There will be a shuttle from the Residence Inn to take you to the Sheraton Premier, and the Sheraton Premier shuttle will be available to take you back to the Residence Inn. Of course, pets are welcome! BlogPaws gives back with $12,000 in cash donations and thousands of dollars in goods!